Every year SBI (State Bank of India) shall be releasing the vacancy list and notification regarding the same for the eligible candidates. The SBI clerk 2018 notification for this academic year has been officially released. A vacancy count of about eight thousand three hundred and one shall be filled up through the recruitment examination that shall be conducted in this year. Many youngsters in India prefer to appear for SBI Clerk 2018 vacancies as it’s an opportunity to get into the banking sector that is known for providing various benefits to their working employees. The SBI clerk 2018 apply online dates and other details regarding the recruitment examination are discussed here. The online registration process for the SBI clerk post shall start from January 20th of 2018, while the last date to apply for them has announced to be on 10th February 2018. The SBI Clerk 2018 exam date shall be conducted anytime between the months of March till April 2018. Check below table to get complete idea about important dates. For more latest Bank Jobs 2018 please read other posts. The application form is the very first process to apply for the vacant clerk posts in SBI. One need to fill in the application form that has been made available on official web portal of SBI. The form must be filled and submitted without any kind of errors made on them. The candidates who are applying for the clerk posts are requested to read out their application form more than once to ensure the right details are filled in them. 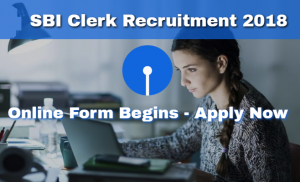 Aspirants who are about to apply for the clerk post vacancies in SBI must submit their SBI Clerk 2018 application form online. The form can be filled and submitted only through their official web portal. Following is the steps that one must follow while submitting their application form online. You can also apply for Union Bank of India Recruitment 2018 here. Visit the official web portal of SBI from any of your internet connected devices. From the home page, find out the link that says ‘Apply Online’. A new window carrying over the application form shall appear. Read down the application form and enter every other detail in them. The aspirants must upload a scanned copy of their recent passport size photograph along with their signature. After uploading them, make sure to pay the application form fee either through SBI net banking or by using any debit or credit card. After completing the payment, make sure to take a print out of the application form for future references. If you are preparing for IBPS exam and searching for best IBPS Exam preparation Books Pdf then you are at right place. The application fee for both OBC and General category candidates shall be six hundred Indian Rupees. The admit card, also known as the hall ticket shall hold every other basic detail of a candidate who is about to appear for the SBI clerk exam in this academic year. The admit card shall have the date of birth of the candidate, the examination centre name, passport size photograph and a sign of them imprinted in the form of a card. The SBI Clerk 2018 admit card shall be released by 3rd of March 2018. The SBI clerk examination shall be conducted as an online examination all over the nation. Below mentioned SBI clerk exam pattern shall give you an overall idea about the question paper and subjects from which the questions are taken from. The one hundred mark in total preliminary examination shall deal with three different subjects, namely English language, reasoning ability and numerical ability. The examination shall be conducted at a time period of about one hour and the candidates shall be provided with twenty minutes each to answer questions under all three subjects. Before starting to prepare for the clerk recruitment examination, one must get to know about SBI clerk 2018 syllabus. 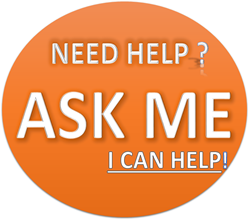 The questions shall be created based upon subjects like computer awareness, marketing aptitude, general awareness, general English, reasoning ability and quantitative aptitude.